The cast takes a much deserved bow at the end of the dress rehearsal. 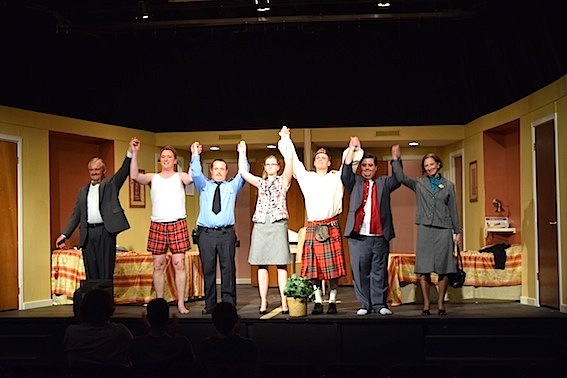 GODERICH – Tuesday evening, I attended what’s referred to as the soft opening of Unnecessary Farce, the final “practice” before opening night of this Goderich Little Production on April 9. There were many in the audience and the cast treated it as a true performance. 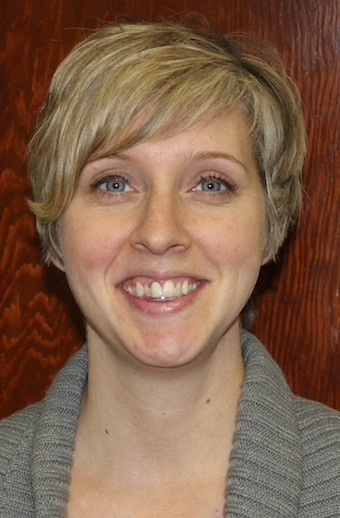 Written by Paul Slade Smith and directed by local Goderich-ite Nina Reynolds, Unnecessary Farce is being staged at The Livery Theatre in Goderich. The play is about two cops who are undercover in a cheap motel, trying to catch the mayor in a $16-million embezzlement scheme with the help of one “HOT” accountant. Add in Agent Frank (Jordan Henry), and “Big Mac,” you have one perfect recipe for suspense and laughter. 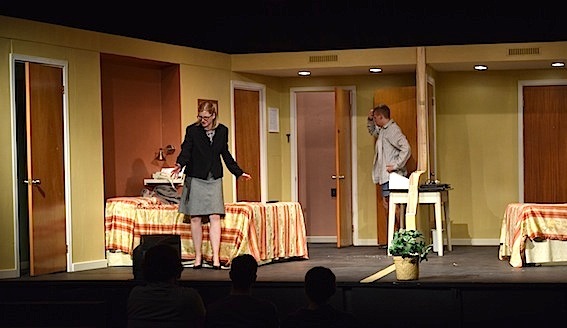 Confusion leads to hilarity in Unnecessary Farce, which opens tonight, April 9.
mouth I was laughing so loud. A word of advice, don’t cover your mouth. Laugh out loud. For me, it’s one of the best sounds on this planet. Now and then, the actors had to wait until the laughter died down to deliver their next line. Officer Dwyer (Eric Lubbers) and Sheraton (Shawn Van Osch) have a great back and forth banter as the incompetent cops who keep messing up. Ms. Brown (Jenna Leifso), the accountant, keeps taking her clothes off, but it’s not what you think. Agent Frank arrives to protect the mayor and search the room for “bugs”. Is Agent Frank who he says he is? By the end of the show, I was laughed out and my cheeks hurt. Bring a friend or family to see this wonderfully hilarious comedy. A caution, there is some mild swearing so it may not be appropriate for a younger audience. 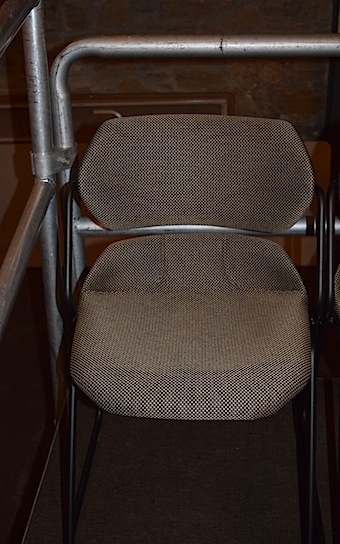 The audience can watch events at The Livery in added comfort, now that the new seats are installed. during the 1840s as a harness shop by Samuel Seegmuller, trader in hides and whiskey along the Huron Trail between Guelph and Goderich.” In 1978, the building was almost demolished but, with the help of council and a private citizen, The Livery was saved. For more information on the history, please visit online. Unnecessary Farce opens tonight, Thursday, April 9, at 8 p.m.
Additional dates: April 10,11,16,17, 18 at 8 p.m.; April 12 at 2 p.m.
35 South St, Goderich or phone (519) 524-6262. The Livery is also a venue for live music, film festivals and rentals. For more details, visit online.